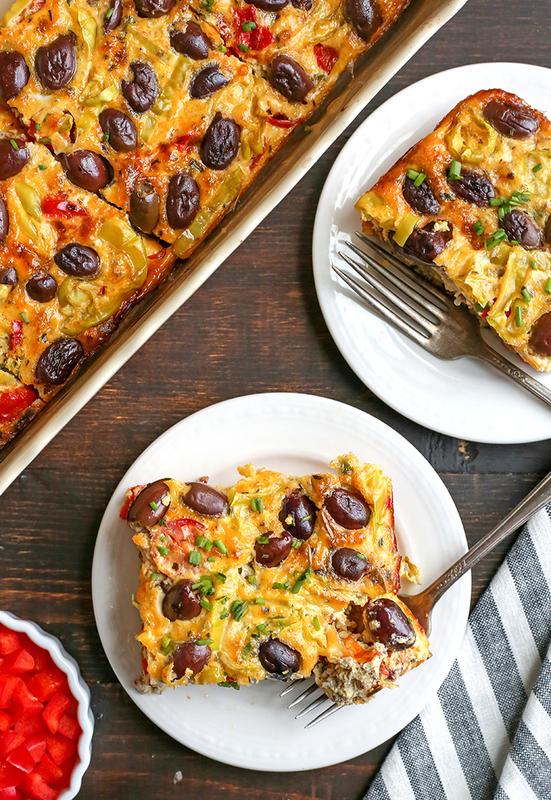 This Paleo Whole30 Greek Breakfast Casserole is a flavorful way to start the day. 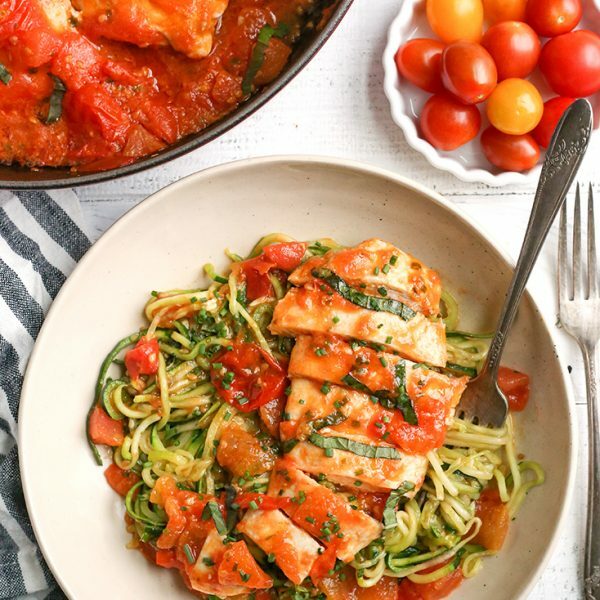 Packed with veggies and it’s gluten free, dairy free, low carb, and low FODMAP. I saw this idea on my friend Carmen’s site, Every Last Bite. I knew of course I needed to make it low FODMAP and I added some meat. It’s a completely different recipe, but the same idea. 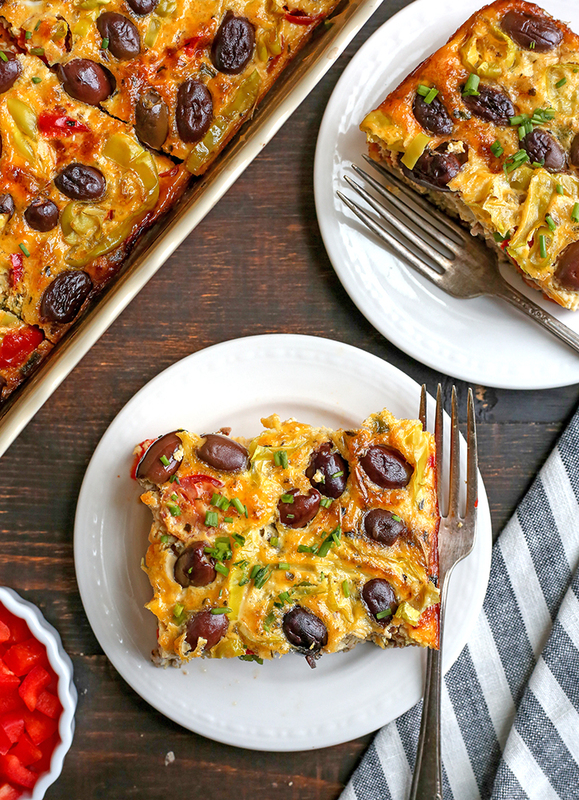 This is a great breakfast loaded with veggies, protein, and healthy fats. I seasoned some ground pork (or you can use turkey) with some gyro seasonings and it adds great flavor. 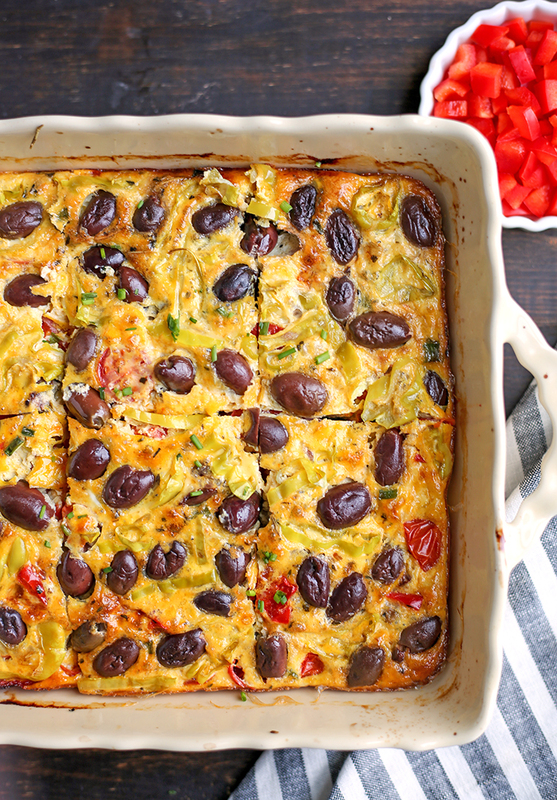 It pairs perfectly with the peppers, tomatoes, and olives. 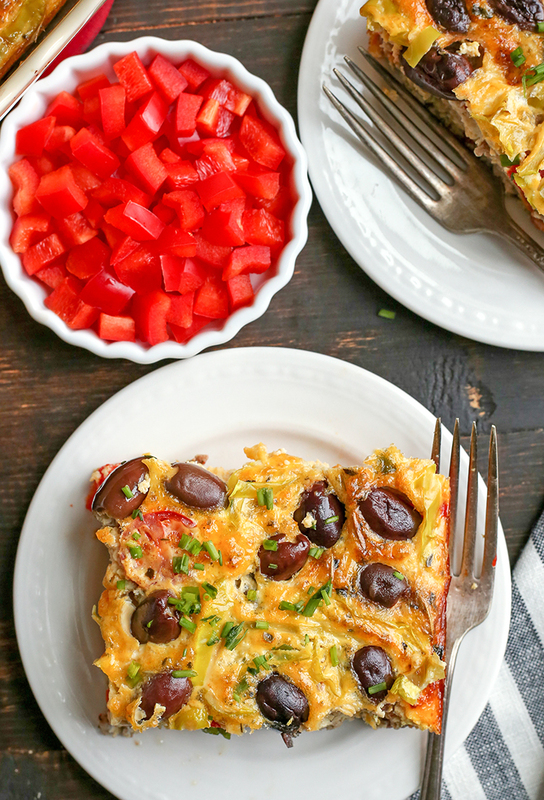 This has all the traditional Greek flavors, but made low FODMAP. I use garlic oil which is so important and chives in place of the red onion that is traditionally used. Black olives are thankfully low FODMAP and same with peperoncinis. Speaking of those, they are an ingredient you need to make sure is clean. Unfortunately a lot of brands use food coloring to make them yellow. I use Jeff’s Naturals that can be found at most health food stores. They are tasty and the ingredients are simple. 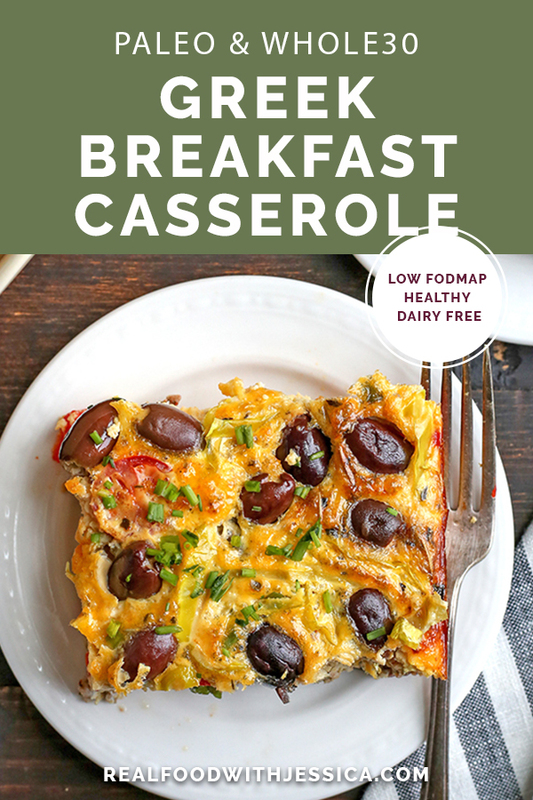 There is a little bit of work involved, just like any breakfast bake, but it’s worth it and makes breakfast for the week super easy. 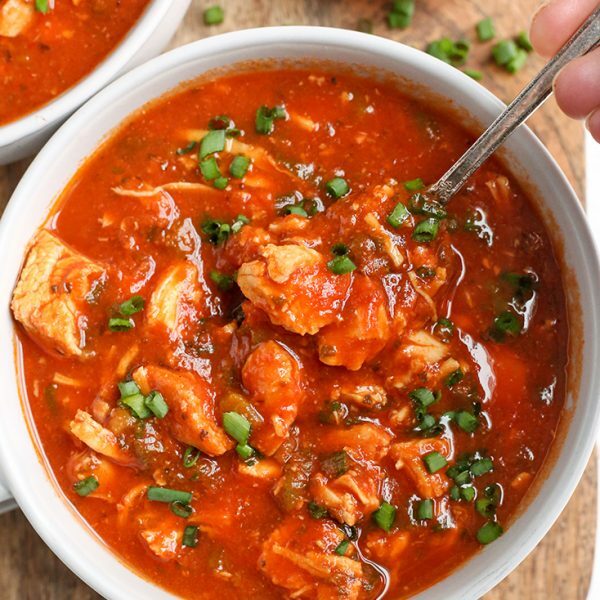 So great for meal prep! 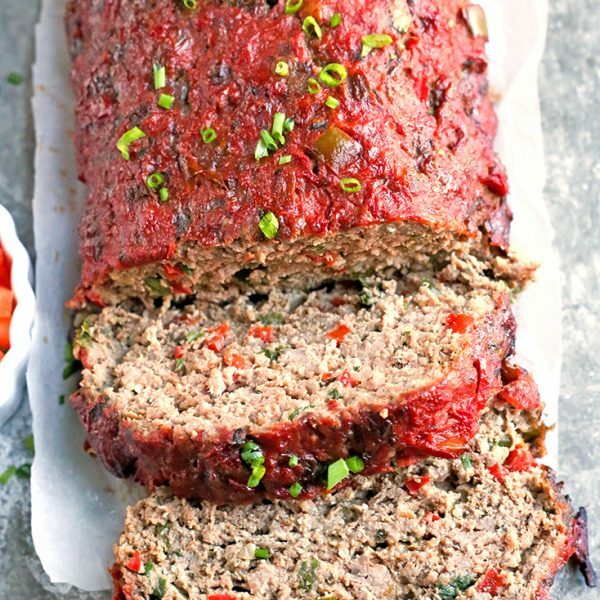 It’s hearty and filling and so delicious! 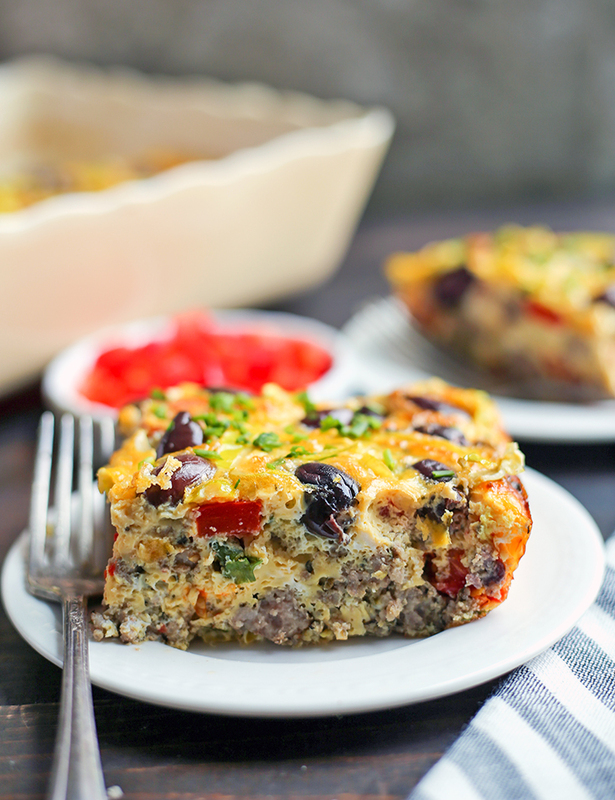 Here are some more breakfasts you will love: Paleo Whole30 BLT Breakfast Bake, Paleo Whole30 Sausage Potato Breakfast Casserole, and Paleo Whole30 Sausage Gravy. Preheat the oven to 375° and line a 13x9 dish with parchment paper. Set aside. Make the sausage. Add the pork and garlic oil to a small skillet and add the salt, rosemary, cumin, oregano, and pepper. Turn to medium heat and cook until done. Break up as needed so the pieces are small. Spread it evenly in the prepared dish. In the same pan (add more fat if needed) add the red pepper and cook over medium heat until tender, about 5 minutes. Add the tomatoes for the last minute or two, just to soften a little. Place that mixture over the meat in the dish. In a medium bowl, combine the eggs, almond milk, and chives. Whisk until well combined and all the yolks are cracked. Pour over the meat and veggies in the dish. 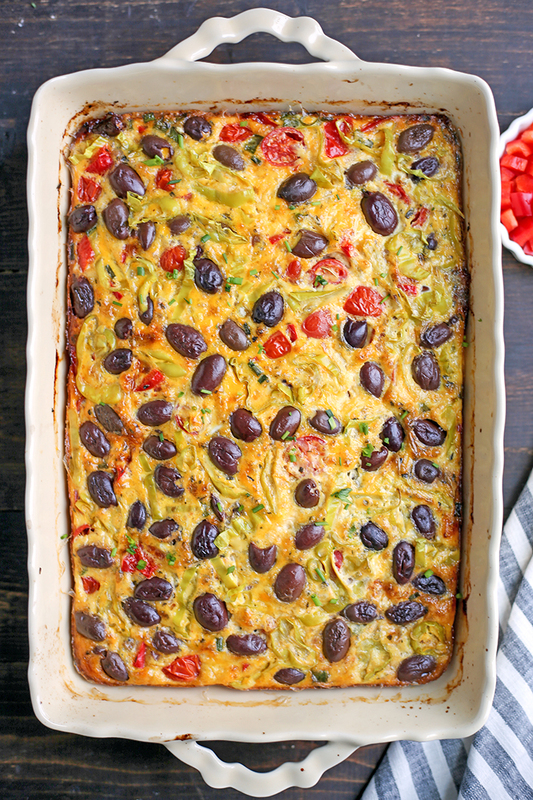 Top with the olives and peppers, spreading out evenly, and bake 45 minutes, or until the middle is set. 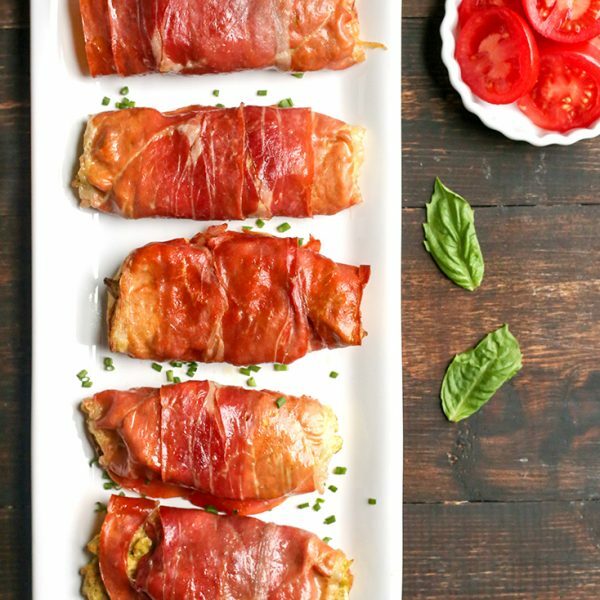 Slice and serve warm or keep it in the fridge and reheat it for breakfast all week. *Make sure to check ingredients as a lot of brands use food coloring to make them yellow. Jeff's Naturals (the one's I linked) have great ingredients. Those olives are looking so pretty on the casserole, for a second I thought grapes. I am pinning this to give a try.